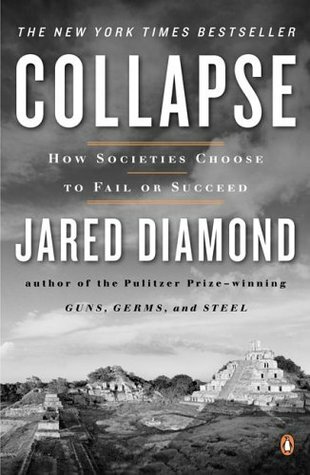 Collapse: How Societies Choose to Fail or Succeed, by Jared Diamond. Penguin Books, 2005. 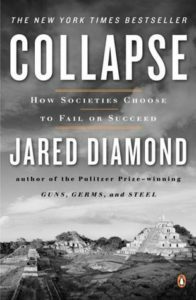 Simultaneously broad-ranging and detailed, Diamond presents a thoroughly researched consideration of the ways that both past and current societies have responded to environmental and societal crises. Some collapsed; others changed course and survived–what made the difference? The final chapters discuss our current world situation, and include a very helpful set of responses to those who think environmental concerns are exaggerated. Mainstream media and most Americans seem to be oblivious to the critical issues we face as a society, which has made me feel misunderstood and isolated in considering the situation to be very grave. How can others keep on eating meat, buying excessive consumer goods, having children, and repeatedly flying to distant countries for vacations? I felt relieved that someone like Diamond, who is both respected as a researcher and also a popular writer, has seriously discussed this. 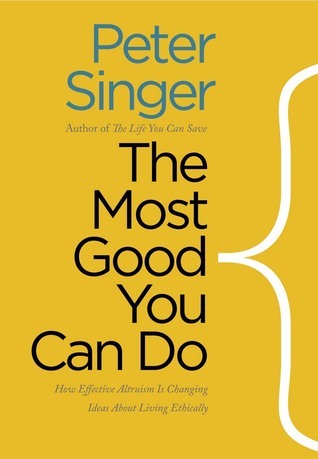 Surprisingly, however, he says nothing in the “what you can do” section about the critical impact of meat consumption and the huge environmental benefit we’d see if large numbers of people chose to eat a plant-based diet. 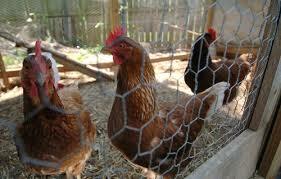 I’m glad your July article on backyard chickens included the downside. Given the practical issues of daily care, humane concerns, and health consequences of eating eggs, is this something the city of Denver should be encouraging? At a major intersection in my Denver neighborhood, this large billboard shows a deer and a hunter in an embrace. The caption has the deer saying “Thanks hunter, for making sure my home isn’t turned into a mall.” Really? The billboard is part of an extensive advertising campaign by The Wildlife Council here in Colorado to convince the public that hunters and anglers care about preserving wildlife. Then why are they systematically killing them by hunting and fishing? If you cared about a group of animals, would you want to kill them? Especially since you are not starving and have no need to eat their flesh? I’ve been an avid yard saler for years, and now that the season is once again upon us, I marvel all over again at the benefits offered. In a society so addicted to overconsumption we find, every summer weekend on just about every other block, neighbors getting rid of their useful, sometimes nearly new “stuff” for rock bottom prices. The sales are so close to home that to buy there requires less travel than to go to the nearest store for the same items new. Of course, overconsumption is what makes yard sales possible. If people weren’t buying more stuff than they need, they wouldn’t have so much to sell. It’s sad to think of the vast amounts of earth’s resources going into the production of goods that buyers are going to practically give away in such a short time. But we who care about the environment can at least avail ourselves of opportunities to purchase secondhand the things we need and thereby make those resource inputs last as long as possible. Living in Denver, with the Broncos going to the Super Bowl this year, I see lots of people dressed in the Broncos’ team colors, pages and pages of news coverage of the teams and their prospects, many parties being planned, and for a wealthy few, the anticipation of attending the game itself. At the risk of being asked what planet I come from, or being considered “un-American” because I am not going to watch the game (a fitness instructor in a class I attend actually said this), I’d like to explore some concerns behind the hoopla. When we look more closely at the Super Bowl, we see a waste of environmental resources, large amounts of consumers’ money spent on throwaway items, and a glorification of violence–all as part of an event priced so high that people of average income cannot even attend. First of all, let’s look at the expense. According to ABC News, Super Bowl spending will top $15.5 billion for food, decor, and team apparel. In the buying of T-shirts, jackets, hats, scarves, gloves, pajamas, blankets, tote bags, glassware, banners, and countless other wearable and collectible items displaying the team colors, does anyone consider that it is wasteful of both the consumer’s money and the resources that go into making these items that will be worn or used only a very few times? 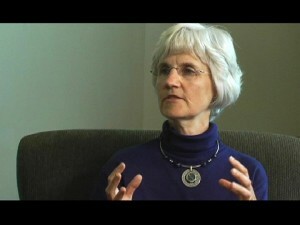 I go back to the slogan: when you are considering buying something, instead of asking “Can I afford this?” ask “Can the planet afford this?” I even saw a tiny baby wearing a Broncos-themed outfit–her parents are already teaching her to consume frivolous, throwaway items that were probably shipped all the way from China. 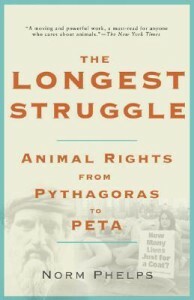 The Longest Struggle: Animal Advocacy from Pythagoras to PETA, by Norm Phelps. Lantern Books, 2007. This well-researched history of the animal protection movement filled in for me many missing pieces in understanding both the evolution of animal rights philosophy and the development of organizations working to bring compassion for animals into mainstream Western societies. Along the way and down the centuries, we meet a host of committed activists, well-known and obscure. 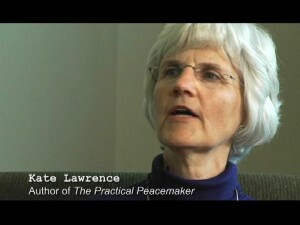 UPDATE December 5: The Practical Peacemaker web site has undergone extensive renovation in the past couple of days. It is now back up and running. Thanks for your patience. 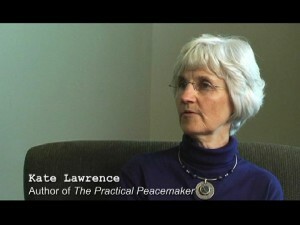 Three brief excerpts ( 2-5 minutes each) from an interview I did about my book The Practical Peacemaker are now posted on YouTube. 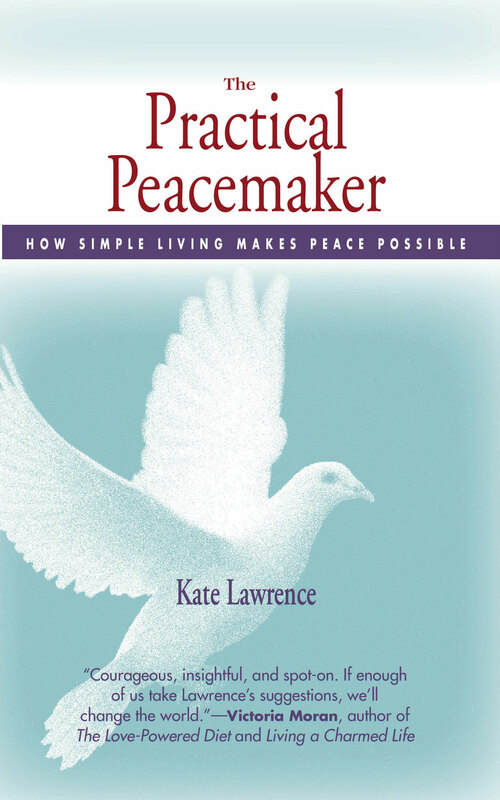 The interview was part of the series “Authors at Douglas County Libraries.” The excerpts are on three topics I discuss in the book that make possible more peaceful living, both personally and in society. Click on photos below to start each of these excerpts. 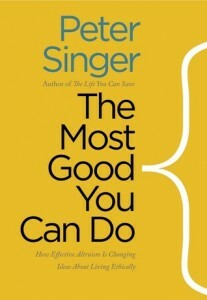 The Most Good You Can Do: How Effective Altruism Is Changing Ideas About Living Ethically, by Peter Singer. Yale University Press, 2015. I especially like that he does not limit the good we can do to helping people, but includes animals as also worthy of our consideration. He points out that we can prevent a great deal of animal suffering for a very low (or no) cost, e.g. switching to a vegetarian diet. One of the ways we work toward peace is by getting to know and understand other peoples’ cultures. The more we can understand why people act the way they do, what they believe and value, the more we can empathize and develop compassion for them.